Orafol 1812TM is a 1mm thick white double sided foam tape, which has both sides coated with a solvent modified acrylic adhesive. Use 1812TM for exhibition mounting, mirror mounting and interior fit out and displays. This high performance foam tape is great on flexible plastics and has good resistance to UV light and solvents. 1812TM is good for use on rough and difficult surfaces which proves ideal for outdoor applications. 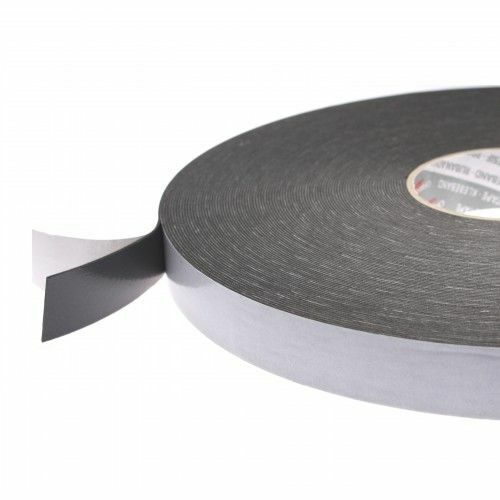 Boasting an 80°C service temperature, this foam tape really has to be one of the most competitively priced performance foam tapes in our online store.